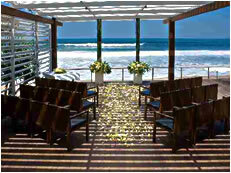 Dream Weddings in Bali offer a range of superb and iconic beach-front restaurants and private event venues in Bali that combine ambience with top cuisine and service, to provide an excellent option for those looking for a venue other than a resort hotel or private villa to celebrate their wedding. Beach-front restaurant and private event venues don't generally offer accommodation so there's no minimum stay requirements or additional function fees to be concerned about, yet they offer an excellent alternative to a resort hotel or a private villa. So, if your budget won't stretch to a private villa, if you still want privacy and if you have enough guests to make exclusive hire worthwhile, booking a restaurant or private event venue could be a viable option. It should be noted that Ku De Ta and Potato Head will usually not allow their premises to be used for wedding ceremonies but wedding receptions can be held there. 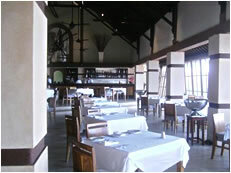 Ku De Ta can seat more than 250 guests during the drier months and has an indoor capacity of 180 guests. An iconic venue that attracts Bali's cocktail set. Available for wedding receptions only. The function space at Metis offers a panoramic view of magnificent rice fields, making it an ideal backdrop for wedding receptions. This venue can be used for wedding receptions only. 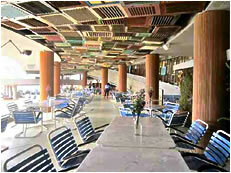 Opened in December 2010, Potato Head Beach Club is one of Bali's newer venues and is located right on Petitenget Beach. Can be used for wedding receptions only. Nestled on Seminyak Beach and offering neutral and unobtrusive decor, Chez Gado Gado has seating for 250 guests on their outside decking and inside dining areas. Located right opposite The Royal Beach Seminyak. Cocoon Beach Club on Legian Beach has an upper floor wedding ceremony venue overlooking the Indian Ocean, along with private reception spaces that can accommodate up to 120 guests. Ma Joly at Sandi Phala Resort , located on a quiet stretch of Tuban Beach, has beach and garden wedding ceremony venues and a restaurant that can seat 250 guests. 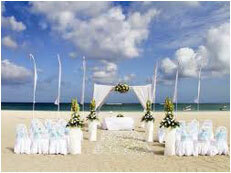 Their sand garden and beach-front pergola areas can be made into a private reception space. 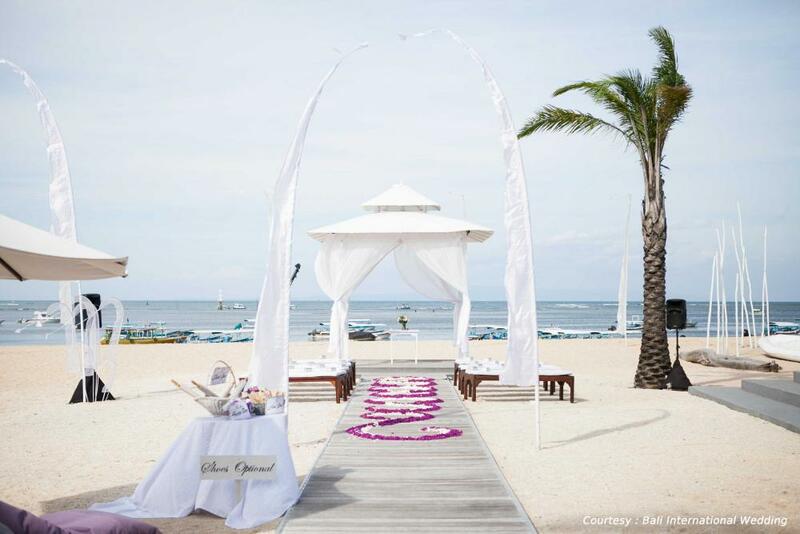 Taman Bhagawan is a well appointed event venue with direct access to 100 metres of white sandy beach in Benoa (Nusa Dua). 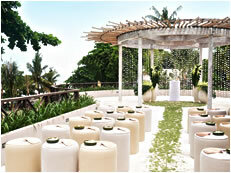 A range of venues are available with Taman Bhagawan, ranging from beach ceremonies to garden ceremonies and receptions. 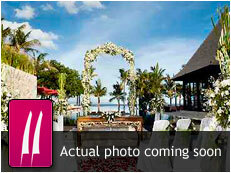 Watermark is an excellent absolute beach-front venue in Nusa Dua. The venue offers beach and garden ceremony venues and a large, high-pitched undercover reception area with beach-front views that can cater for all events.